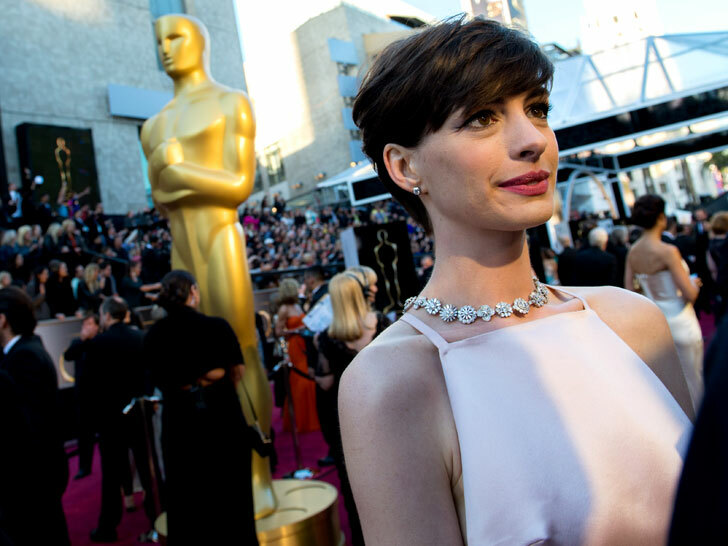 Reigning Best Supporting Actress Anne Hathaway paired her inordinately…um…“perky” Prada dress at the 2013 Oscars on Sunday with custom cruelty-free stilettos from Giuseppe Zanotti. Requesting faux-leather kicks from leading footwear designers is becoming an M.O. for the newly vegan actress. Hathaway made her rounds at earlier awards in “veganized” Tom Ford gladiator boots and Jimmy Choo peep-toe heels. Hathaway doesn’t just eschew animal products on the red carpet, however. For her Oscar-winning role in Les Miserables, Hathaway insisted on shoes that were just as faux. Hathaway insisted on vegan shoes for her portrayal of Fantine in Les Miserables. Uhhh... where's the pic of these shoes?